Hi everyone! Just created an Xbox Club for players to share clips, pics, find other players and share anything vigor related! Club name on Xbox is : Vigor Survivors. I will be streaming this game and sharing it via stream so hopefully it will grow! Thank you all! Orion Gamers (Orion Universe Gaming) "Community"
Hello Gamers, Did you ever play Breaking Point at some point? If you did and you enjoyed it or you haven't yet, then you're in luck. Salty Vets Squad Gaming Group is opening up a Arma 3 Breaking point server for everyone to come play on and enjoy. 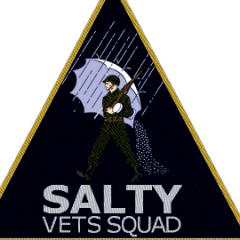 You do not need to join a group or clan to play on our server, however if you so wish to you are welcome to join either the Salty Vets Squad or Orion Gamers. All you have to do is subscribe to the Breaking Point Mod by Deathlyrage on the Arma 3 workshop and then join our server. If you have any questions please feel free to contact me. Below is the Server Name & Address, TeamSpeak address and, website to the parent group of Salty Vets Squad Gaming Group! Come and enjoy and bring your friends! Website Information http://oriongamers.net/ TeamSpeak Information Address: 192.154.224.182 Arma III Server Information "Please Favorite in case the port changes" - Server name: Salty Vets Squad BreakingPoint Server - Server Address: 192.154.224.182:2302 - Server name: Salty Vets Squad - Overthrow - Server Address: 192.154.224.182:2332 Other Games: Space Engineers - Server On Website Empyrion - Server On Website Ark "Server Coming Soon" SCUM "Server Coming Soon" More games coming soon! Looking for a good serious server. A friend of mine, that usually host Arma III on his own private server, LAN parties recently joined Argo. We do enjoy the game, but not so much the toxicity in the public servers. So he decided to change his Arma III to Argo LAN private server. All the other guest were able to join no issues at all, but me. Most of the time I get a message about waiting for the host to select mission, even if other players are already in. Server host and other players can see my name loggin in and inmedatly loggin out. Would really appreciate any guidance how to solve this. I'm preparing to create a mission with multiple objectives including a recruit/rescue portion, and I was simply going to port over a pow rescue script that I originally used in an A2 mission I had previously created however it no longer works. I have looked, however to no avail to find a set of scripts which will meet some of the criteria necessary to work with the mission I'm creating. Some of the criteria I would like to meet for using a given script include - Remove recruit/rescue addaction on creation (surprisingly none of the methods I've encountered I've found do this) - Script activated enableai "move" command from any location in the mission area for the subject once they are recruited (subject has a random chance to spawn in multiple locations) - AI must behave no differently than another squad member once inducted, also targetable by opfor ai This aspect of the mission entails investigating various suspected locations of the individual requiring rescue, with each location having its marker removed upon investigation (this part already works). I'm going to keep fiddling around and try to make it work, but if anyone has any tips or insight, I'd be appreciative of the help.